Before embarking on the benefits of the GHS data sheets it is good if we identify the meaning of the initial GHS Globally Harmonized Systems of classification and labelling of chemical. The GHS ensured the safe production of the chemical materials. In addition to production, the system is also keen on ensuring that there are safe transportation, handling and use of the materials. We cannot mention the GHS without referring to the United Nation since it was responsible for the development of the system that ensured the chemical regulations and standards of different countries are in harmony. One of the essential components that played a critical part in the formulation of the globally harmonized system is the safety data sheets. The safety data sheets are important since they offer essential information of chemical compound in a workplace. In addition the safety data sheets are critical to both the staffs and the management of a chemical production company. The information on a safety data sheet, for instance, enables an employee to beware of the effective measure that they can adopt in protecting the environment. It is also important for employees to be taught of the safety data sheet since it provides them with the framework that vital in assessing the worker's protection measures, including training, which is specific to the workplace. Companies need to ensure that they know the criteria for determining whether the SDS should me produced. It is essential to note that the safety data sheets are made for substances that meet the harmonized criteria for environmental, physical or health hazards that are in the globally harmonized system for the chemical and mixtures that contain components that meet the criteria for toxic and carcinogenic productions. The safety data sheets also enable the competent authorities to know the mixture that meets the criteria for classification containing the hazardous ingredients. 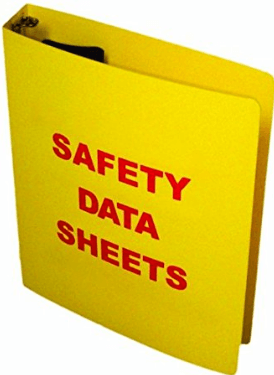 The safety data sheets come in a standard format. The following is the universal format of the safety data sheet these include identification, information on the ingredients, first-aid measures, fire-fighting measures, accidental release measures, handling and Storage, exposure controls, physical and chemical properties, stability and reactivity, toxicological information, ecological information, disposal considerations, transport information, regulatory information and other information. Nowadays, electronically safety data sheets are widely used. The following are the essential factors that made chemical producing companies prefer using the electronically safety data sheets. First and foremost, the safety data sheets saves time. The electronic safety data sheets are easier and faster to use. In addition, a good system can be used on a mobile phone. It is essential to consider using the electronic GHS safety data sheets since they save money. Get more info about GHS Safety Data Sheets here: http://bmet.wikia.com/wiki/Material_Safety_Data_Sheet.